Shows you where to go. 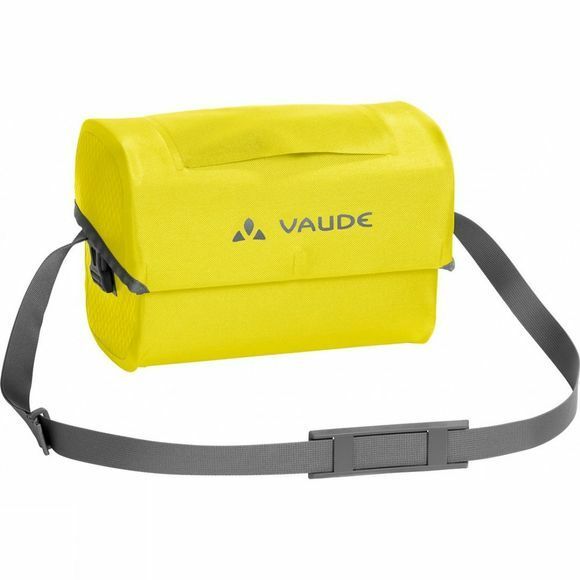 The waterproof Aqua Box Handlebar Bag is climate neutrally manufactured at the German Vaude company headquarters near Lake Constance with durable, PVC-free tarpaulin material for all world travel adventures. It's just right for everything you need to have in sight and close at hand when you're out biking; it can even be operated with just one hand. The bag is attached to the handlebar via Klick-Fix adapter, which allows for easy on and off action. 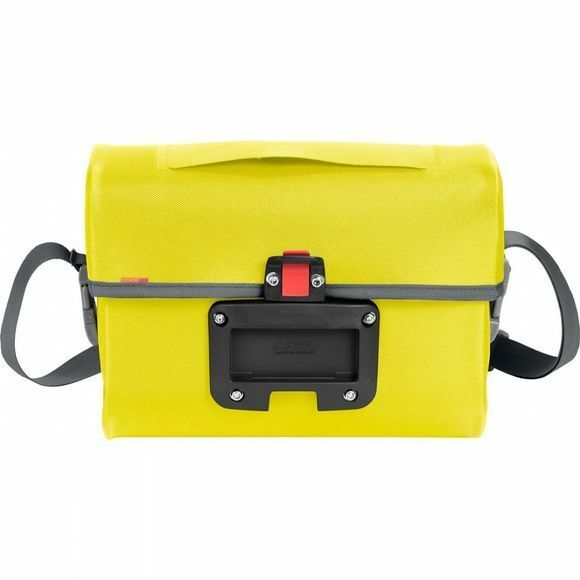 It also comes with a shoulder strap if you want to carry it over your shoulder. Can be used together with the practical accessory bags: Beguided small, Beguided big, Sortyour Box.